My wife went to San Jose,CA last year. She stopped at a store to buy tampons, but couldn't find them. 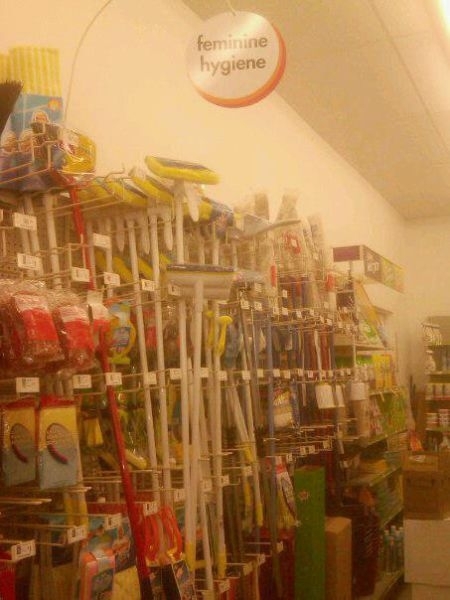 She asked an employee and found out that they were located in the mop aisle!